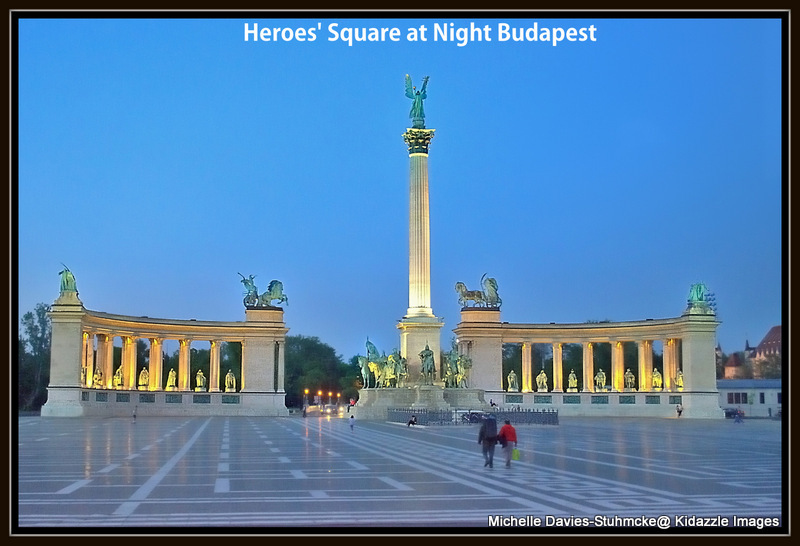 Photograph of Heroes’ Square, Budapest, Hungary again taken from the bus when it was stopped. We were totally charmed by Beautiful Budapest and especially Budapest at night. So we had to see it all again. While on our river cruise we’d viewed this beautiful city by night as we’d sailed in on the Danube. Now it was time to see it from the land on a “Green Bus” tour. 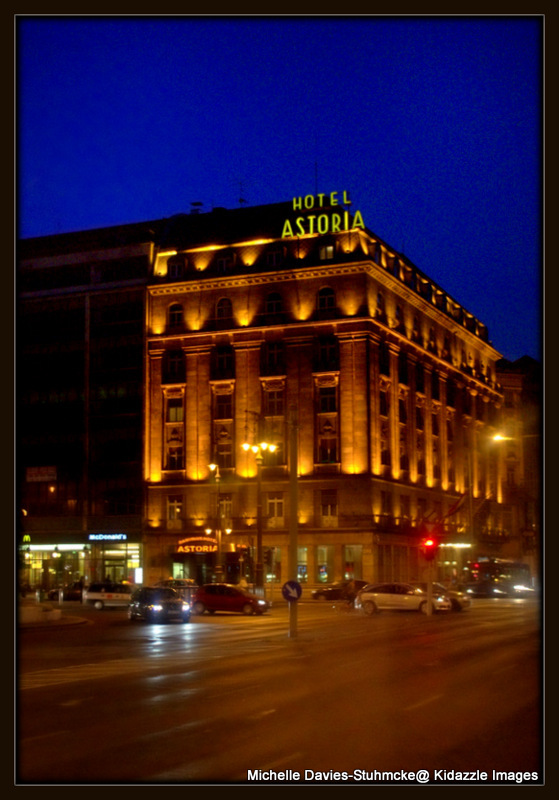 Hotel Astoria in Budapest, Hungary. 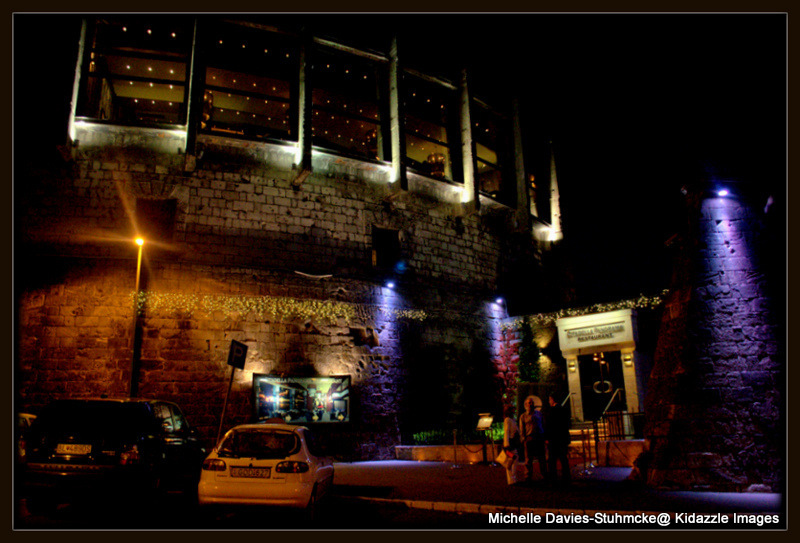 Up at the Citadella Restaurant in Budapest, Hungary. 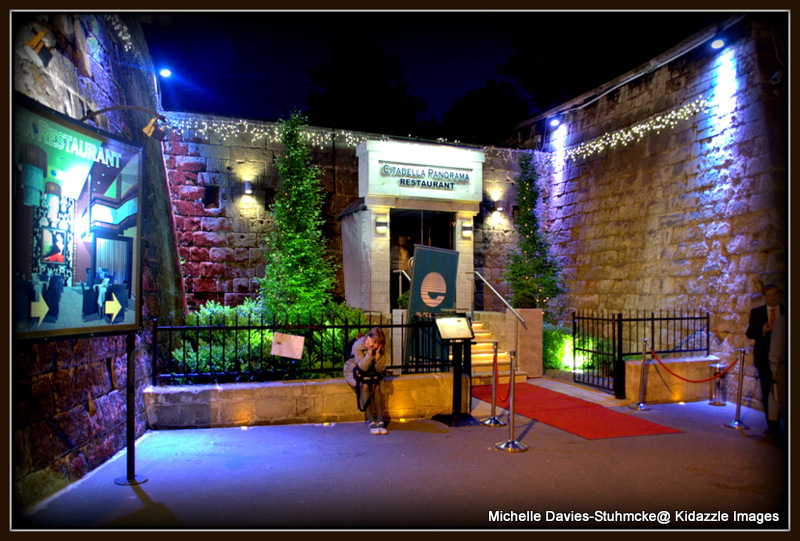 Another photo taken outside the Citadella in Budapest, Hungary. View from up opposite the Citadella Restaurant in Budapest, Hungary.